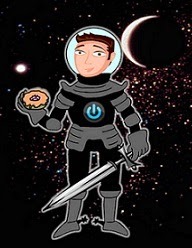 David Powers King: IWSG: New Genre, New Style, and New POV, Oh My! 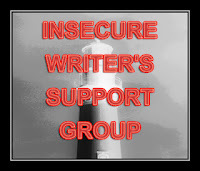 IWSG: New Genre, New Style, and New POV, Oh My! In all my sixteen years of writing (not that I'm counting), the one compliment I've received most from readers goes something along the lines of, "It's so descriptive" and "It felt like I was watching a movie." The only explanation I have for this is my exposure to many movies in my young. Seriously, while my peers were watching Sesame St., I was watching Star Wars, Indiana Jones, and anything ubber-cool I could get my hands on. So when it comes to storytelling, scenes are playing in my head with different camera angles and chapter breaks. Writing in 3rd person was a natural fit for this. But when I started The Undead Road, I wanted to try something different. 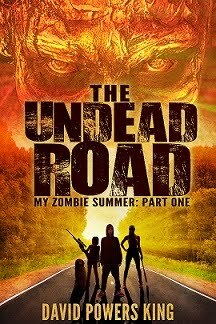 Not only was it a sub-genre that I never thought I'd write (zombies), but try as I may, it just wouldn't work in the 3rd person perspective. A good deal of 1st person POV novels rubbed me the wrong way when I really got into reading, since the protagonist often came off as self-centered and I wanted to get into the story more than their rambling narrative (not saying all 1st person is this way, just in what I found back then). I couldn't imagine writing like that. Call it an exercise, but I decided to give 1st person POV a shot. And you know something? It felt really natural to me! I've heard that it's easier to write than 3rd person, but with my filmatic mind, it's not so easy. I didn't have the freedom to move about the scene or swap to another character - I was stuck with one person, seeing the world through their eyes, telling a story in a tight and linear fashion. I've yet to read through it all since I finished it, and all I have to go on is feedback from my critique partners who like my "unreliable narrative" and think that this is the best thing I've written yet (on my own). Am I insecure about this? A little - I hope the feedback rings true as I go over it again, but it just goes to show that trying news genres, styles, and POVs can lead you into a niche that you'd never thought you'd try or may actually be good at. Having said that, time to edit! Have you found venturing into different genres, styles and POVs to be refreshing for your writing? What was your experience? I'm David, and you have GOT to check out these wedding photos! First person isn't my favorite either and I've never written one from that point of view. But if it's working for you, then go for it! I see things like a movie as well. Also from hours of movie watching. Glad the IWSG has been a big plus for you! If first POV feels right, then try it. Same with writing a new genre. I've written 3 different genres and may soon tackle a 4th. I like to read both POVs and so much of it depends on the book. Some books must be written in first to really take a reader into the story. Sounds like you listened and wrote the story the way it needed to be told. I love books in first pov. I used to prefer 3rd. I like to try something new with every book I write - I started writing in third person, but my first two published books were in first person. I think it depends on the story - my latest is in the first person present tense, the first time I've attempted this! I am just like you. I picture my books as movies and that's how I write so descriptively. I also mainly write in third person because it is so much easier for me. I've been writing in third person since I was twelve years old! But I am doing a novel in first person now and it is a struggle. 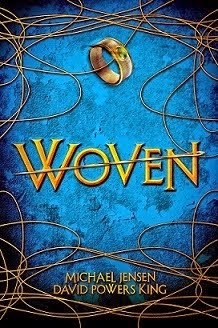 I'm a third person gal myself but next up on my to-be-written list is a MG in first person, so we'll see. First person POV is my go to, I wrote a book from third person and the scene where one of the characters passes away was so sad from third person POV I could barely handle it. I like both first person and third person. Your zombie novel sounds really exciting. Have you been keeping up with the Walking Dead? How did you like the mid-season finale? *SHOCKED* is how I felt. I love first person. I find when I try writing in third person, it feels like something is missing. I've written both 1st and 3rd person, although mostly 3rd. I think it depends on the story. Some authors combine the two so they're not stuck with one POV. I've read a book that pulled it off well but it'd be tricky. The reason 1st person is so frequently referred to as "easier" is because people cheat. They write in 1st (so they can cheat on grammar, etc, too), but they do it from a semi-omniscient view and tell the audience things that the character shouldn't actually know. Most people just accept it and it doesn't bother them, but that kind of cheating does bother me. When you actually stay in your character's head and only tell the story that character's eyes, it's much more limiting and challenging. I didn't like first person until I read MHI. Those books proved first person could be really interesting. I have not tried it yet. I do believe that one must be opened to all kind of possibilities, though. Glad it is working for you. Awesome you've tried a new POV and it worked. I've never used first person but one of these days I'll have to try it. Oh yeah. I've written action, contemporary children's, Christian, comedy, fantasy, horror, literary, general mainstream, military/war, mystery, romance, sci-fi, thrillers, just about everything. My favored POV is third-limited, but I've dabbled in all of them, even 2nd for some horror flash. I love being able to take an idea and run with it no matter the genre or POV. I'm so excited you gave it a shot. I've written 3rd but 1st POV is where I love to live. It's so natural for me, and I really like delving into one character, flaws and all. Embrace it! I used to automatically put back first person books, then I got older, expanded my horizons and found some awesome books written in first person. I think it can be more intimate and more challenging to complete scenes from just one point of view. That photo shoot you sent me to look at was hilarious! That's very close to what happened to me when I decided to switch to first person. Changing things up can really do wonders for the muse. I know how you feel! Third person omniscient has always felt the most natural to me, but there are a lot of good things about first person, too, even though it's kind of scary and has a lot of drawbacks. I feel more connected to the story somehow when I write in first person. It makes me put on the character's shoes more firmly and feel what they feel, think what they think. Of course, the danger is inserting yourself into the story! definitely jumping genres can give some new adventures for sure! I totally get what you're saying about not being able to jump around with the characters in a first person POV. but...it's also good to finally get those deep internal thoughts, too. catch 22! I wrote my first novel in first person and switched it to third during a rewrite and loved it much better. It is a personal preference, by all means. I like reading both methods of writing as long as the story is awesome. Good story and and you have me staying up all night until I've read the whole book. I love page-turners that make you sad when the story ends. Yes I see in images/movies too! I have tried different POV's and at the moment have a third person dual narrative and a first person present tense going on - can get a little confusing at times! Thank goodness for editing! I usually don't write in 1st person, but it seems like it could be easier. It probably depends a lot on the nature of the story. The first person narrator who is telling what is essentially a story from a 3rd person POV is kind of cool in some cases. The first person recount provides intimacy. The one POV which to me is unnatural and weird is 2nd person. My current WiP is written in first person. I am more than halfway through and wondering if it should be in 3rd. So, there you go. I think all writers struggle a bit with this issue. I really like writing in 1st, but as you say it is constrictive. Your reader knows only what your MC knows. However, it works wonderfully well in some stories. Sounds like this one of yours fits that bill! I am exactly the same. I write in 3rd person exclusively (3rd limited). But I have another project where I'm writing in 1st and present tense. Getting out of your comfort zone is good, though. Lately, 1st person is ALL I write, except that currently I'm switching my novella to 3rd person as part of a sort of experimenty thing. But I've got a fair few stories in 3rd as well. I do find it hard to drag myself out of the 1st person present tense thing I'm stuck in though. I think I'm addicted to that. Trust your CP's David. I'm sure it's great in fist person. I recently discovered through my editor that my second novel which I wrote in First person past, which I thought was a good fit for my story is even better in first person present. A very hard tense to write in. But here I go again on revision, who knows what, and writing this story in present tense. You just never know. I enjoy working in different genres. My present WIP is film noir, which I had never written in before. And, according to most people who know my work, they think it's suits me better than anything else I have written. Atmosphere is my trademark, so how perfect is film noir, especially set in the 1940's. I haven't worked on it in ages but hope to do so when I finish edits on my second novel. ALL the best with your read through. I'm you'll fall it love with it.